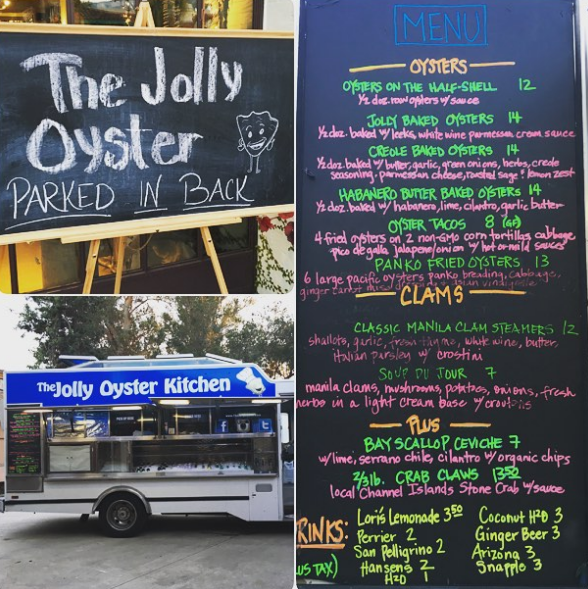 The Ojai Vineyard » Dec. 31st – New Year’s Eve Primer with The Jolly Oyster! Dec. 31st - New Year's Eve Primer with The Jolly Oyster! We would like to invite you to a New Year’s Eve aperitif with The Ojai Vineyard and The Jolly Oyster on Thursday December 31st from 5 to 8pm (New Year’s Eve). The event is open to everyone so please invite your friends! We will have live music and a selection of our most brilliant wines! We will be closed Christmas Day, but come by on Thursday (noon-6pm) for your last minute gift needs and enjoy a special Syrah flight from Roll Ranch Vineyard in upper Ojai (2006, 2007, 2008) in addition to our flight of current wines. Check us out on our new social media pages- Instagram, Twitter , and Facebook. Contact us by email TastingRoom@OjaiVineyard.com or phone 805.798.3947, for any questions.